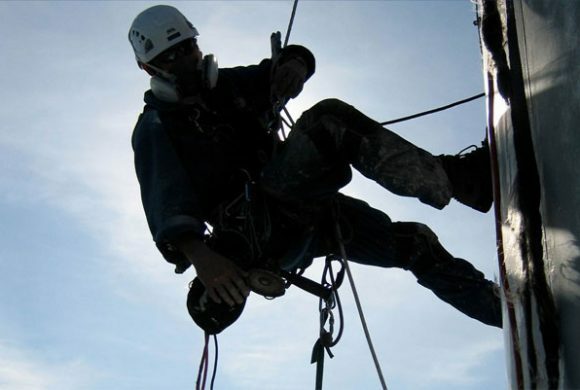 A rope access company in London can be described as a company which performs abseiling services. If you own a large commercial building or residential apartment complex in London, you cannot neglect the exterior of your structure. There are several maintenance tasks that you will need to perform over the months and years. These tasks include washing windows, repairing windows, cleaning the gutters, roof repair, and plenty more services. Some of the most common types of buildings to receive these services are hotels, schools, churches, and office buildings. They simply depend on a reliable abseiling company in London to perform these services for them. Whatever you do, do not attempt to perform abseiling building maintenance in London yourself. This is a very complicated procedure that requires only the most skilled and professional maintenance people to perform them. If you were to try this job yourself or make one of your unqualified employees do it, then it would result in disaster. Someone is liable to get hurt or killed if they don’t know what they’re doing. Even experienced rock climbers who are confident in abseiling procedures should avoid doing this on buildings because have no done maintenance work like this before. It requires an extra attention to detail on the work in addition to the abseiling itself. There are four benefits you should look for in a rope access company in London. They should offer you versatility, affordable prices, speedy service, and cause very little impact to the environment. If you can find a professional company with these 4 benefits, then you are in good shape. By versatility, it means the serviceperson can remain safe while visiting any area of the exterior. The rope itself is usually connected to roofs or gangways. Affordability doesn’t necessarily mean low quality work. If the works are good at what they do, they will work quickly and efficiently. They will have the proper machinery and scaffolding (if necessary) to do the job correctly. However, most of the time, a rope will be used because it allows the workers to access areas of the exterior much faster. It also uses up less space than a scaffolding. Best of all, there is hardly any noise or pollution created by the abseiling jobs. That way, none of your neighbors will complain. Rope WorX is one example of a reputable rope access company in London. All their work is guaranteed, and their employees have undergone criminal background checks. They provide the safety and security that you would expect from a professional company in this field.